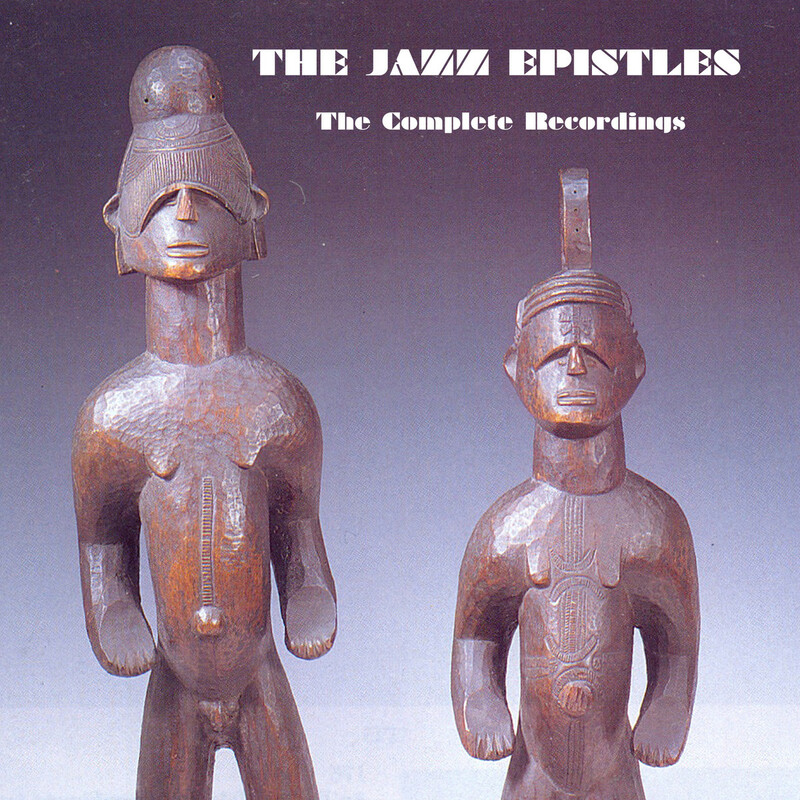 Experienceby The Jazz Epistles. Fashioned after Art Blakey’s Jazz Messengers, the South African bebop crew, recorded one album released in 1960. The ensemble consisting of Abdullah Ibrahim on piano, Kippie Moeketsi on alto saxophone, Jonas Gwangwa on trombone, Hugh Masekela on trumpet, Johnny Gertze on bass, and Makaya Ntshoko on drums dissolved soon after this seminal recording that highlights the best of South African and continental African jazz aesthetics. The album demands listeners think about jazz’s unifying and transcendental possibility through the lens of the epistle-a message to the masses or the daily news. In the late 1950s, diasporic connections materializing as the shared desire for sonic and political liberation linked communities in the United States to those in South Africa. A shared message traveled the airwaves through bebop and landed in Sophiatown, an urban hotspot of creative energy, mirroring that of cultural hubs like Harlem, Chicago and Philadelphia. A message linked artists, activists and thinkers on both sides of the Atlantic. That message simply was liberation now! The kinetic and psychic energy of this moment manifests most poignantly in Abdullah Ibrahim’s work “Uku-Jonga Phambili.” Composed while on tour with Miriam Makeba and the Manhattan Brothers, the track translates into Look Forward and conveys a new energy for a new day, one that is modern, fresh, direct and fast paced. The song evokes an awareness and presence that a community is on the precipice of a world beyond its imagination. Look Forward says we don’t know all of what tomorrow brings, but we are traveling into and beyond its horizon boldly-with fire, fierceness and audacity. Another gem on this album is undoubtedly “A Blues for Hughie.” Composed by Kippie Moeketsi, the piece is a standard 12-bar blues infused with traditional Pedi tribe riffs and rhythms. The horn section takes center stage as the piece opens with a solo by Hugh Masekela. Next, a soulful dance of improvisation, call and response unfolds, buffering a stand out performance by Abdullah Ibrahim. Masekela introduces the piece as if to say welcome to my world of sound and light-listeners may feel yellows, blues and reds resonating as the piece strolls, swims, dips and swings. “Carol’s Drive” exhibits a brilliant use of pacing, repetition and funk as John Gertze takes center stage during short, rhythmic, toe-tapping solos bursting with personality and soul. Audiences may find the ensemble’s favorite, “Scullery Department,” a stand out hit on the album. An excitingly accomplished piece, the song grew out of a set at the headquarters of the Union of Southern African artists in Eloff Street, Johannesburg. Listen to the album and consider music as a major conduit uniting people in pursuit of shared vision and destiny. Presume the artists seek to create community among those linked by circumstance and desire, regardless of proximity. Believe, even if for a moment, that musical expression is a performance of transcendence, breath and spirit locked deep in the DNA of every living being on this planet. Imagine jazz as a major conduit of this magic this message of artistic, political and spiritual movement across oceans, generations, languages and cultural structures. 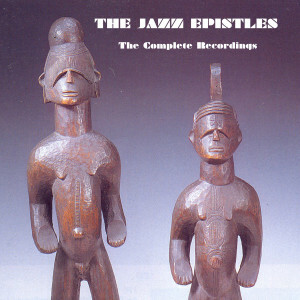 Check out more on the Jazz Epistles first-hand from Joe Mthimka, a staple on the Cape Town South African jazz scene, during the years the Jazz Epistles played.